Since Windows Vista and 7 do not ship with an e-mail application, many people turn to Windows Live Mail. Moving from one e-mail program to another can be a chore if you don’t know how to do it. This is especially true when importing and exporting contacts from one e-mail client to another. 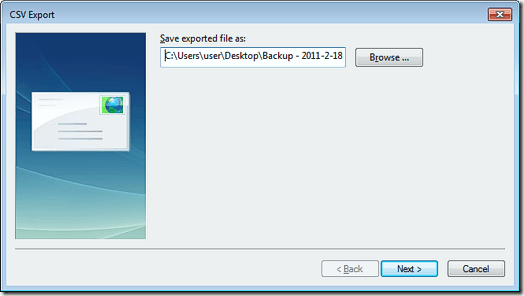 Learn how to export contacts from Windows Live Mail. An e-mail program isn’t very useful without a list of contacts. The contacts list provides several conveniences including avoiding having to type in each recipient’s e-mail address individually and creating groups so you can instantly e-mail many people at one time. 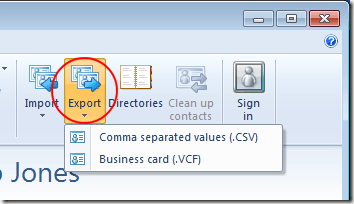 Moving your contacts from one program to another or one computer to another involves exporting the list into a general format and importing it into the new e-mail application. Windows Live Mail has a built-in function that lets you conveniently export your contacts list so you can import it elsewhere. The application allows you to export contacts into two formats. However, you will find that using the Comma Separated Values format is compatible with more e-mail programs. Once you export your contacts into a single file, you can use it as a backup or import it into another e-mail application. 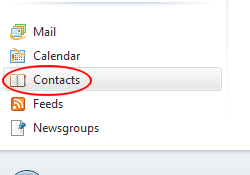 Open Windows Live Mail and click on the Contacts folder at the bottom left of the application. This opens your contacts in the center and right panes. Note that the Home tab on the Ribbon changes to offer you options associated with your contacts. On the Ribbon, locate a section labeled Tools and click on the button titled Export. On the drop-down menu, you will notice two options: Comma Separated Values (.CSV) and Business Card (.VCF). You can export your contacts from Windows Live Mail into these formats. The Comma Separated Values format is nothing more than a text file that separates information using commas. The information in the file separates your contacts’ names, addresses, e-mail addresses, and other data using commas. This is the format most compatible across not only applications (Windows Live Mail, Outlook, Mozilla Thunderbird) but across platforms (Windows, Max OS, Linux) as well. Business Card format is a vcard format that stores contact information in various programs. Although it is accepted by many applications across multiple platforms, there is no guarantee that the format is compatible with all e-mail applications. Unless you are sure that vcards are compatible with your e-mail application, stick with the simpler Comma Separated Values format. From the Export drop-down menu, choose Comma Separated Vales (.CSV) and Windows Live Mail will ask where you want to save your exported contacts file. Type in a name and use the Browse button to select a save location. 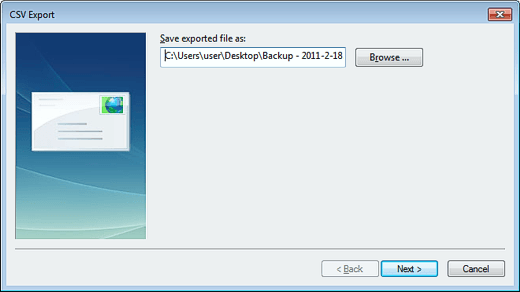 If you are exporting your contacts for backup purposes, consider including the date in the name of the file. This way you know when you last backed up your contacts list. Click the Next button and Windows Live Mail asks you which fields you wish to export. To be safe and if your contacts list is especially long, choose all fields. Otherwise, check just the fields you want and click the Finish button. Windows Live Mail then exports your contacts list using the format, file name, location, and fields you specified. 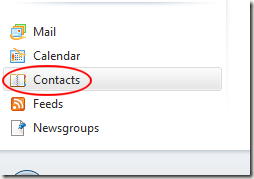 Windows Live Mail offers two formats when exporting a contacts list. The Comma Separated Values format is most compatible across both e-mail applications and platforms. When you are finished exporting your contacts list, you can store it as a backup or use it to import your contacts into another e-mail application or on another PC.